British auction house Christie’s is raising its bid on luxury real estate in New York City. The firm abruptly ended its 20-year affiliation with residential brokerage Brown Harris Stevens on Friday and announced plans to open its own real estate office later this year. 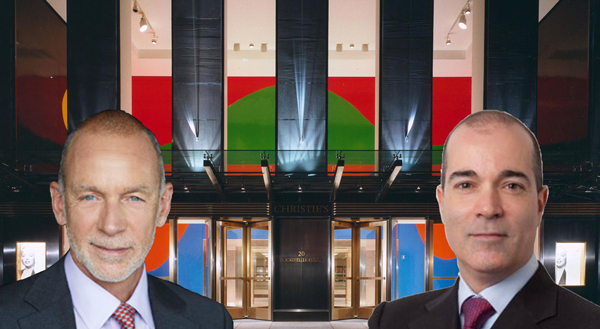 The new brokerage will operate out of Christie’s flagship at 20 Rockefeller Plaza. But in an email to agents, BHS president Hall Willkie and Bess Freedman, the firm’s executive vice president and managing director of sales, noted Christie’s recent loss of eight brokerage affiliates, including Pacific Union in San Francisco and Houlihan Lawrence in Westchester. “Since 1995, Brown Harris Stevens has been the number one global affiliate and exclusive brokerage arm of Christie’s in New York City, the Hamptons and Palm Beach. This affiliation has been the basis upon which Christie’s International Real Estate has established its reputation,” they said. As part of BHS’s affiliation with Christie’s, firms took part in a referral network and Christie’s took a cut of real estate deals. “The same people who buy important art buy important real estate,” Willkie said in a promotional video on Christie’s website. But the relationship — and a similar network maintained by Christie’s rival Sotheby’s — has been met with skepticism, too, as TRD detailed last year. Even though it plans to open its own brokerage, Christie’s said it would maintain its affiliates in other parts of the country, including Houston, Dallas/Fort Worth and Las Vegas. The network, which has 140 affiliates, had combined annual sales of $115 billion.